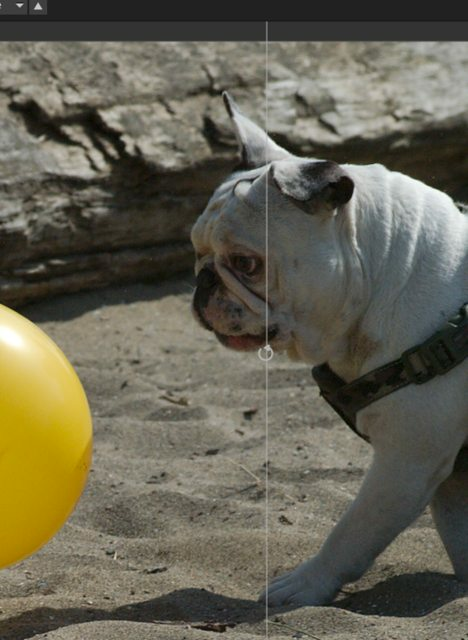 This French Bulldog, aka Frenchie, is fixated on balloons. 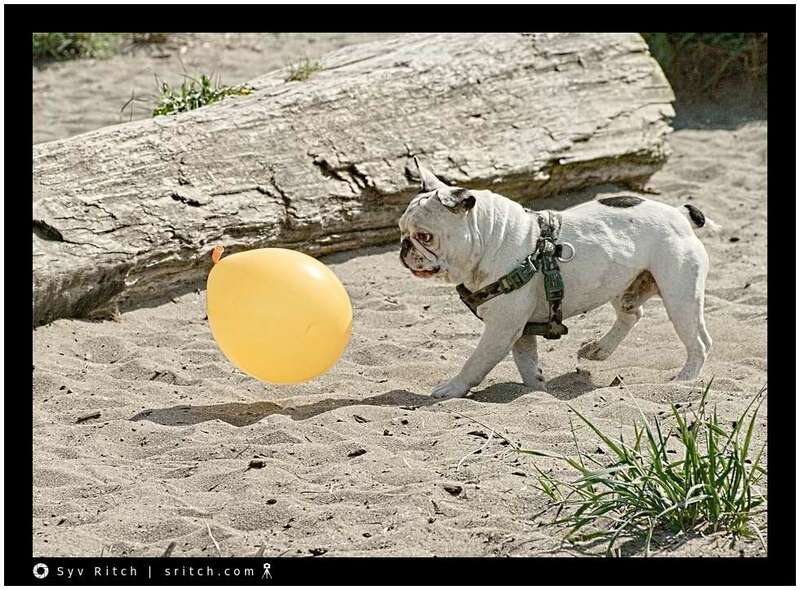 He chases balloons. He tries to grab the balloon but most of the times it explodes. While I was at the beach, he must have popped at least 8 balloons. His owner had a full bag from one of these party supplies.